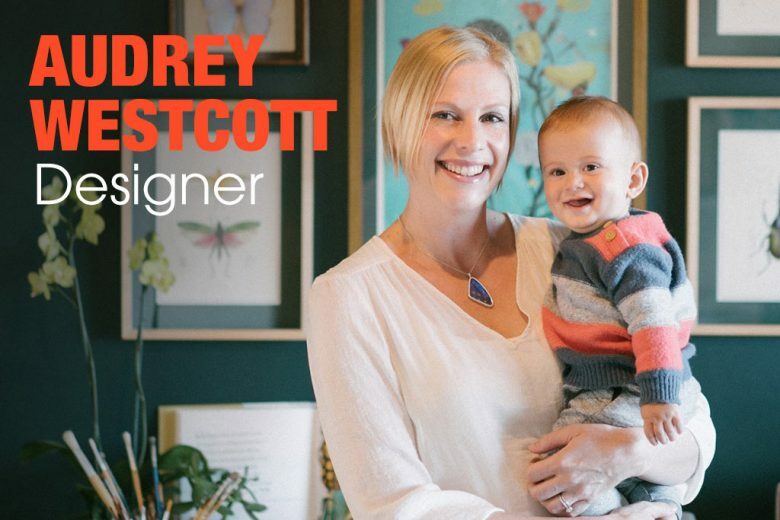 Audrey Westcott is the epitome of a talented (and busy) mum! As well as caring for her young baby, she runs two businesses – her freelance illustration and graphic design business, and a jewellery company, Papillon Belle. I studied graphic design with specialisation in illustration in Cape Town, South Africa. After graduating, I moved to London where I worked as a graphic designer for five years. During this time I traveled a lot, which was a wonderful source of inspiration. I returned to Cape Town in 2006 where I embarked on my career as a freelance designer. My experience with an international client base meant I was lucky enough to continue working with clients abroad, while enjoying the great quality of life in Cape Town. 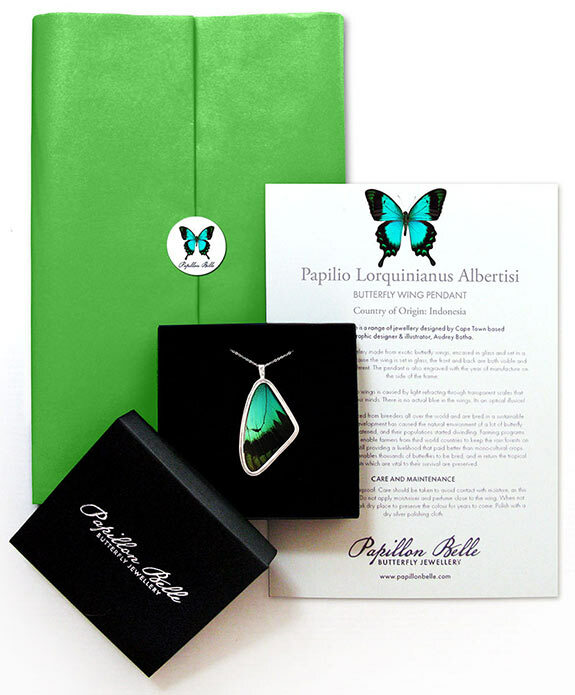 In 2011 I developed the first prototype for Papillon Belle, which I funded through my graphic design and have been juggling the freelance design and jewellery business ever since. How has your career changed since you’ve become a mum? Having a baby has probably made me a better freelancer! I’m a bit of an A type who likes to plan ahead. Having a baby challenges this as every day is so unpredictable and out of your control. You sort of have to roll with the punches a bit more. This has taught me to manage my stress better as I am forced to live in the moment and take whatever challenge is right in front of me, instead of worrying about what might lie ahead. There’s a huge amount of uncertainty that comes with being a freelancer and sometimes it’s better not to try and pre-empt things, but rather just go with the flow and trust that everything will be okay in the end. You’re a designer and illustrator. What type of work do you do? A really wide range actually, but my speciality is branding. I mostly work with companies to develop new brand identities, which I roll out onto all their print and web based platforms. I also work with bigger agencies, developing new designs for established brands. I use illustration a lot in my work and adapt my style according to the brief I’m working on and the needs of my client. Mostly word of mouth. It takes time and a lot of hard work to initially build up a network of contacts, but I would take on a wide range of projects and eventually it became clear which types of projects I enjoyed doing most. I love everything about it. Every day is different, so it’s certainly never dull! I love the flexibility that comes with it and that I can work with companies without getting involved in office politics! Switching off. I never stop working really, so I suppose it’s a good thing that I love what I do! I also had to learn to appreciate Excel…admin is not my favourite thing, but unavoidable when you run your own business. Do you ever have tricky clients, and how do you handle them? In my experience, good communication is the most important thing when dealing with clients. Design is very subjective, so I use referencing a lot when working on a new brief. That way, if a client struggles to communicate what they like and dislike, they can show me. Very soon a pattern will emerge and you will learn their personal tastes and preferences. This will eliminate 99% of the trouble you might experience down the line due to a breakdown in communication. What inspired you to start Papillon Belle? I have always been obsessed with butterflies. I inherited two brooches and a pendant from my great grandmother dating back to the Victorian era, that contained real butterfly wings. I became intrigued as to how you could take something as fleeting as a butterfly and transform it into an heirloom piece that can be passed down three generations. I started doing some research and came across the Antennae Foundation who manage butterfly conservation programs all over the world. Their aim is to offer families in third world countries an opportunity to make a living off their land that doesn’t require them to clear the land (and the natural habitat of butterflies). The program enables thousands of butterflies to be bred, while protecting rainforest areas that would otherwise be cleared to grow mono-cultural crops. A portion of the butterflies that are bred is sold in order to fund the programs. Currently they source butterflies from 22 different countries and support over a 100 families and thousands of species of butterflies through their foundation. I worked with a jeweller for more than six months to develop the initial prototype. It was really tricky finding a way to preserve the wings without damaging them in the process. When I held the final pendant in my hand it took my breath away, it was so beautiful! So, my passion project eventually became a fully-fledged business. What’s your vision for Papillon Belle? It’s been a very busy year on a personal front. Apart from having a baby, we also bought and renovated a house, so I haven’t been able to do as much marketing as I would have like. My business is 100% dependant on the amount of marketing I do, so I would like to sign up for a few international trade shows going forward to try and increase my distribution abroad. I am also currently redesigning the website and working on a new range of pendants (watch this space!). In my ‘to do drawer’ is also a list of ideas for expanding the silk scarf range. Now I just need more hours in the day to do it all! How do you balance your work around your baby? I’m sure this will be an ongoing battle that requires different strategies at different stages. At the moment I’m lucky to be working from home. At first, it was really hard as I had a very short maternity leave and all the new mums around me had at least six months to spend exclusively with their babies. I am only now starting to realise the benefits of my situation. While other mum’s are slowly returning to their office for an eight hour work day, I can close my office door to focus on work, but pop in and check on my baby throughout the day. It’s also nice to be able to check in with the nanny and make suggestions on how she can play with him and encourage his early learning and development. My husband is also an amazing support. He’s a freelancer in the film industry, so we check in with each other daily and if my work schedule is more hectic than usual, he will take on more of the baby duties and vice versa. We are very much a team. Honestly, I have a newfound respect and admiration for all mothers. Becoming a mum is the single most transformative event of my life. It’s such a primal and raw experience and I find myself daily seeing mums with their kids and feel like I should wink at them, as if to say…’I know what you’re going through and what your life is like now!’. I feel proud of the fact that I now belong to this club of amazing woman. I admire anyone who manages to raise children in a time that is overflowing with information and opportunities, as with these opportunities comes a huge amount of responsibility and choices that woman have never had to worry about before. What advice would you give to a mum considering going freelance? Do it!! Freelancing can be risky, but my motto in life is ‘the bigger the risk, the bigger the reward’ and so far it has served me well. If you are prepared to work hard and have a clear vision of where you want to be, you will be rewarded for venturing outside of your comfort zone. The flexibility that comes with freelancing will also allow you to spend more time with your kids. You can see more of Audrey’s graphic design and illustration work on her website, and her jewellery on Papillon Belle.